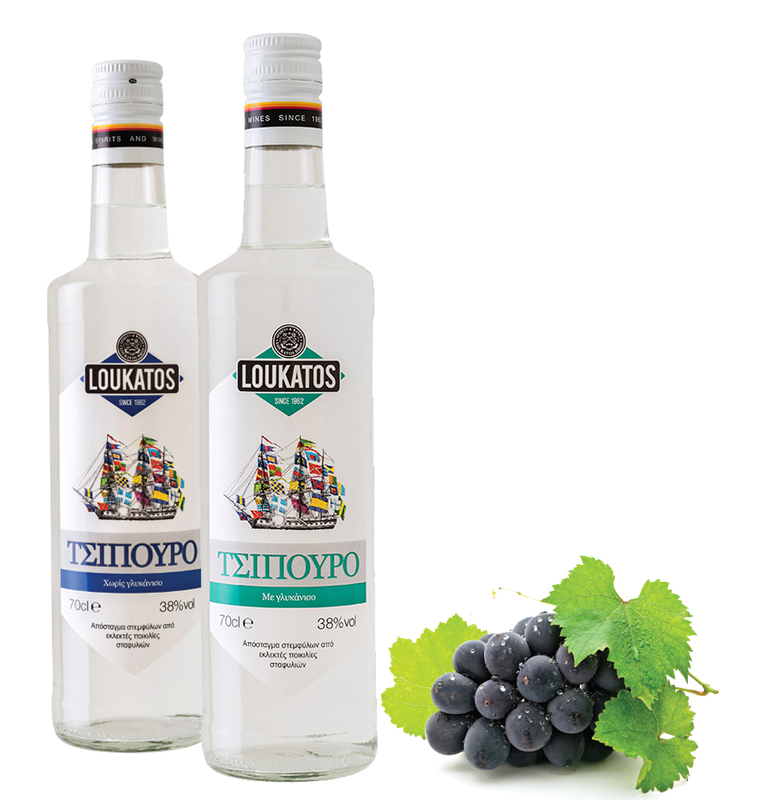 Tsipouro is an indelible stamp of Greek tradition and stands out for its pleasant flavor and long aftertaste. It is produced by fermentation of high quality aromatic varieties of grapes. The marc is distilled in stainless-copper pot. Only the “heart” of the distillate with the purest and finest aromas is collected. It can be drunk straight up or with water with different assortments.